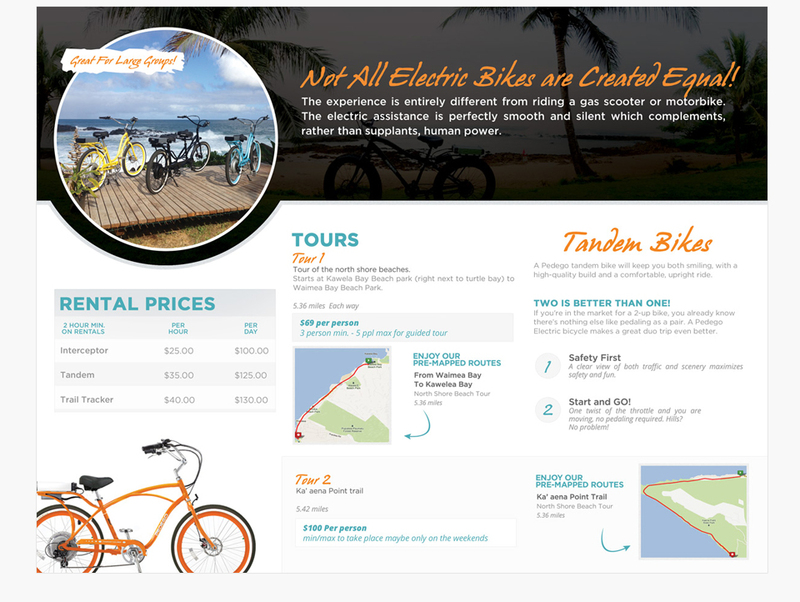 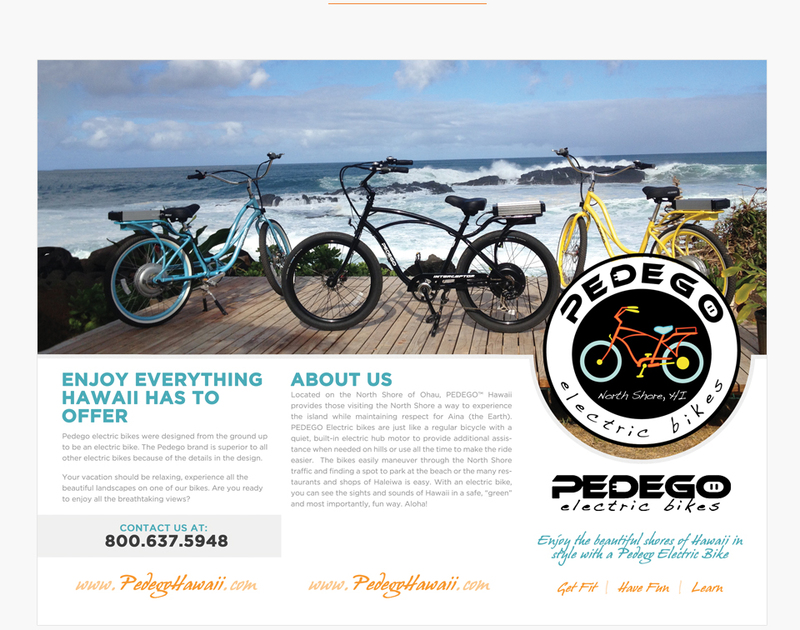 Pedego Hawaii a division of Pedego Electric Bikes creates lasting memories for tourists and locals alike with fully electric bikes perfect for the beautiful shores of Hawaii. 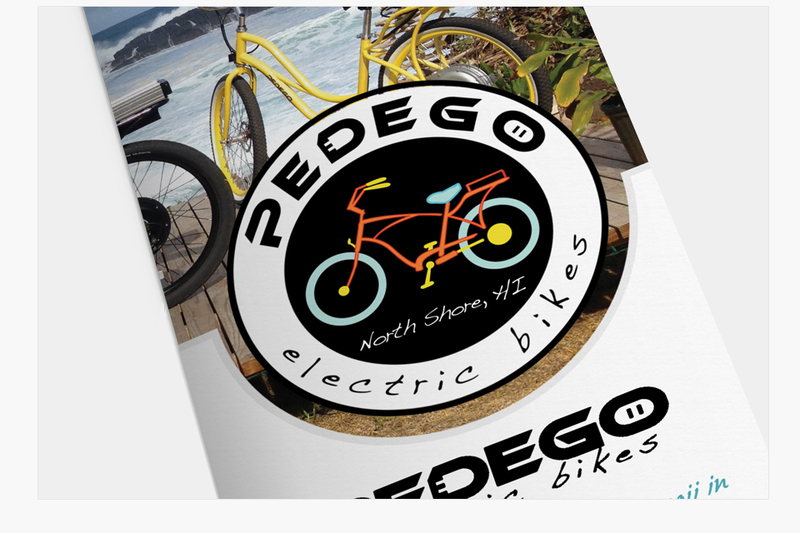 They needed a trifold brochure to mail to customers as well as be able to be passed out at shows. 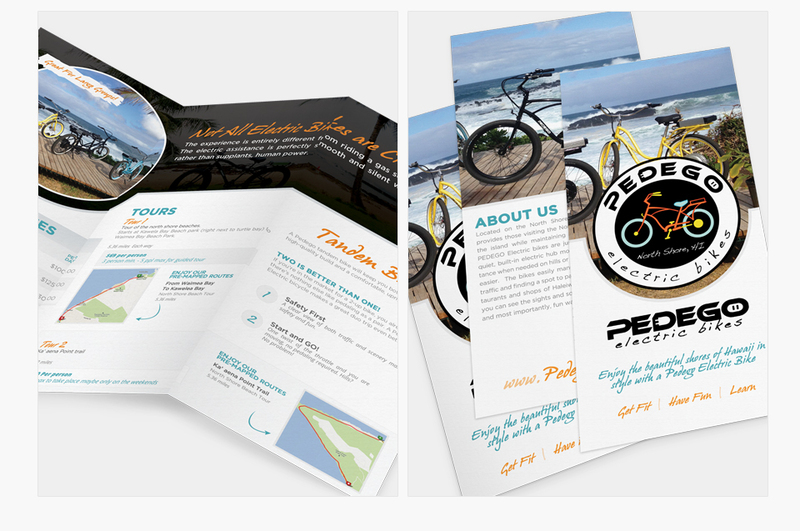 We blended the two styles together to create a unique and versatile brochure that can be used in many different ways.